Naruto 443 is now available!!!. Naruto takes the black rod and stabs himself to confirm the location of Nagato. Flash back inside Naruto about happiness and peace. Neji says to chase after Naruto but Katsuya stops him. However, he insists to go. Naruto: I have to go by myself. Flash back inside Shikamaru’s dad about his talk with Shikamaru. Shikamaru’s dad: Count on you, Naruto. Nagato tells Konan to leave first. Konan is worried about Nagato. Nagato: The peace will come very soon. If you would like to discuss the spoilers or predictions naruto 443, please leave a comment below. 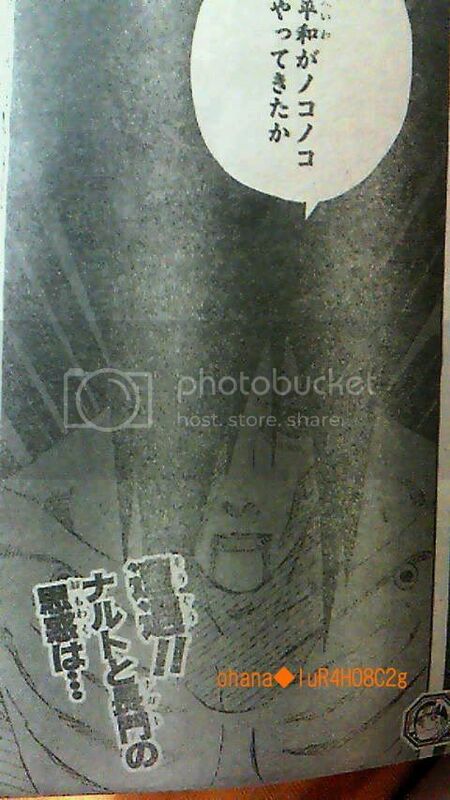 You can also read previous Naruto 442 manga chapter. wasn't that cover from last week? not just because it was released in japan yesterday does it mean that that's for this week's chapter. A buck says there will be no battles next week. hell, Kishimoto really likes to keep waiting people… I stoped lliking naruto long time ago because of this thing, i like one piece!!! WHY DOESNT HE JUST DIE!! !